BeCharmed pave beads by Swarovski are the perfect way to make your large-hole jewelry designs sparkle! Browse our broad assortment of BeCharmed beads that span several styles and that all feature large holes for elegant design possibilities that compare with the high quality found in the styles of Pandora, Troll Beads, and Chamilia. The stringing holes are gracefully lined with durable stainless steel grommets that have the Swarovski logo engraved into the outer rings, assuring you that the designs you create will be made with premium-quality crystal components. Take a closer look at our Pave-style lines of BeCharmed beads and fall in love with the vivid colors and shimmer that each Swarovski bead brings to your unique designs. Secure designs with sparkle using the Swarovski 181001 13mm BeCharmed Pave stopper bead with Aquamarine crystals on a Light Blue base. This innovative component is used to secure cord and keep beads from sliding around. The stringing hole is lined with a stretchy silicone rubber, which enhances its ability to hold beads in place and limit the movement of charms. This highly functional element will add the perfect finishing touch to your most sophisticated designs. 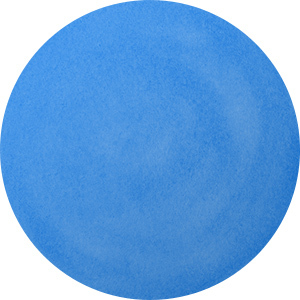 It features a ring of icy blue crystals around the blue epoxy base. Give your designs a glittering touch of regal style using the Swarovski 180201 15mm BeCharmed Pave bead with Sapphire square fancy stones. This bead is rounded in shape and features a wide stringing hole. The blue base is covered in small square-shaped crystals, all glittering with royal blue color. The stringing hole is lined with stainless steel and the rings of the stainless steel are engraved with the Swarovski logo, so everyone will know you use only the best beads in your designs. This bead serves as an excellent representation for the birthstone of September. Dazzle everyone with glittering style using the Swarovski 15mm BeCharmed Pave bead with Crystal AB square fancy stones on a white base. 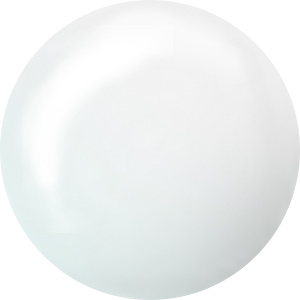 This rounded large-hole bead features a white epoxy base encrusted with square-cut crystals. 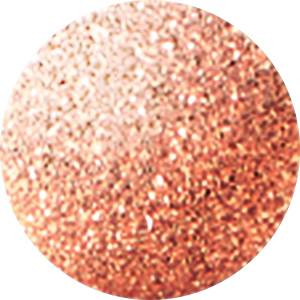 The crystals display a fabulous AB coating full of iridescent sparkle. The square crystals give this bead a modern edge that will keep all of your designs trendy. The stainless steel inner rings of this bead are engraved with the Swarovski logo, so you will always know you are working with premium-quality products. Pair with colorful beads for a look full of rainbow shine. Add delicate beauty and sparkling light to your designs. 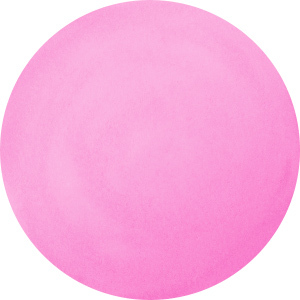 This rounded large hole bead features a pink epoxy base encrusted with square-cut crystals. The crystals display a soft pink color twinkling with shimmering light. Use this bead with purple tones for a feminine design. Sparkling sophistication and beautiful color fill this Swarovski BeCharmed bead. This cylindrical large hole bead features a purple epoxy base around a stainless steel stringing hole. A ring of rectangular crystals cover the surface of the bead. The crystals shimmer with icy purple color. Bring out the icy shine of this bead by pairing with pale blues and silver components. Get inspired by the celebration of sparkle on display in the Swarovski 81504 14mm BeCharmed Pave Medleys in Crystal Silver Night, Jet Hematite, Jet Nut, Jet on Black Base. This bead is covered in a medley of crystal shapes. The Medley design allows for inspiring color combinations to spark your creativity. This bead features a classic pattern of round Chatons creating a dotted pattern among the smaller Chatons. You'll love the glittering gleam of metallic black and silver colors on display in this bead. Brighten up your designs with the Swarovski 10.5mm BeCharmed Pave bead with Crystal baguette fancy stones on a white base. This cylindrical large-hole bead features a white epoxy base around a stainless steel stringing hole. A ring of rectangular crystals cover the surface of the bead. The crystals are dazzlingly clear and reflect the light beautifully. The inner rings of the stainless steel stringing hole display the Swarovski logo, so you will always know you are working with premium quality products. Use this bead as a sparkling accent for any color palette. Secure designs with sparkle using the Swarovski 181001 13mm BeCharmed Pave stopper bead with Jet crystals on a Black base. This innovative component is used to secure cord and keep beads from sliding around. The stringing hole is lined with a stretchy silicone rubber, which enhances its ability to hold beads in place and limit the movement of charms. This highly functional element will add the perfect finishing touch to your most sophisticated designs. It features a ring of gleaming black crystals around the black epoxy base. For sparkling elegance in your designs, try this Swarovski BeCharmed bead. This cylindrical large hole bead features a creamy epoxy base around a stainless steel stringing hole. A ring of rectangular crystals cover the surface of the bead. The crystals display a sophisticated champagne gold color. Contrast this bead with navy blue tones for a classic look. Get inspired by the celebration of sparkle on display in the Swarovski 81504 14mm BeCharmed Pave Medleys in Crystal Metallic Blue, Denim Blue, Air Blue Opal, Crystal Blue Shade on Cadet blue Base. This bead is covered in a medley of crystal shapes. The Medley design allows for inspiring color combinations to spark your creativity. This bead features a classic pattern of round Chatons creating a dotted pattern among the smaller Chatons. You'll love the beautiful blue colors on display in this bead. Get inspired by the celebration of sparkle on display in the Swarovski 81304 14mm BeCharmed Pave Medleys in Aqua, Sapphire, Caribbean Blue Opal, Crystal Metallic Blue on Shining Blue Base. This bead is covered in a medley of crystal shapes. The Medley design allows for inspiring color combinations to spark your creativity. This bead features large oval and Navette stones surrounded by smaller round Chatons. You'll love the unique glitter this bead brings to designs. You'll love the glittering blue colors on display in this bead.